Lovely apartment very close to all sights. Very well maintained and clean. Plenty of space. Very close to all sights in Quimper. Car park was a bonus. Host was friendly helpful and recommended restaurants nearby. Clean, well appointed apartment in a great central location. Wonderful apartment in a central location. Annie was very welcoming and provided a great orientation and a number of getting started items that were most welcome. Amy K.Where do you live? Annie is an amazing host. In fact, we enjoyed our stay so much that we extended two more days! Perfect location just around the corner from the cathedral and walkable to everywhere. The apartment is laid out well, with all the thoughtful details attended to. Arrangement of the two bedroom suites would be great for two couples traveling together, but as just us, we luxuriated in the extra space. Quiet, good parking provided by Annie and do take her recommendations for places to eat...LeCosy especially. Overall...this is what all Vrbo and HomeAway owners should aspire to. Great pick! 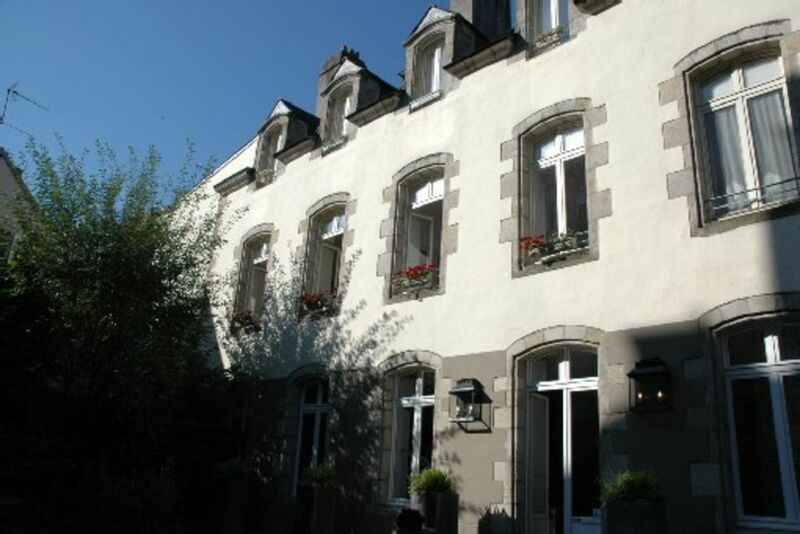 Splendid Apartment at the very center of Quimper! This is a large, comfortable and homey apartment with 2 full baths and 2 toilets;and a parking space! The cathedral and old Quimper are right around the corner! In addition Annie was a delight and provided many tips for making the most of our visit. And most important - she was there to help us with a medical emergency ensuring that all parts of the process(even driving us to the hospital) went smoothly! Highly recommended! Annie's apartment is the perfect location for visiting the old town, the Saturday market and other sites. Her well appointed apartment had everything we needed (and more), the breakfast goodies were a real treat and parking inside the courtyard was a real bonus. Review just received this morning, when reading so nice things you wrote about the apartment made me feel happy for the day ! hope to meet you again in Quimper at some other time in the future. Quiet, pedestrian area, all Windows of the apartment open on the garden. : notre tarif semaine s'entend pour 1 personnes. nos tarifs sont établis en fonction du nombre de personnes, nombre de chambres occupées. notre tarif nuitée s'entend pour 1 personnes. nos tarifs sont établis en fonction du nombre de personnes, nombre de chambres occupées. n'hésitez pas à nous contacter pour obtenir notre tarif détaillé ou consulter notre site web.